As it turns out, I had a nasty little flu rather than a miserable cold. By Friday night, my temperature was nearly 102, but the next day, Saturday, I felt significantly better. By Sunday, I was more or less back to my normal schedule. I even did some cutting back in the garden. Being sick, of course, is no fun, but I much prefer short and brutal over long and miserable. I have had colds stretch out for a week or two, with coughing at night to make sleep next to impossible. At least what I had was over in a few days, and a good thing, too, as there is much to do outside to get the yard ready for winter. 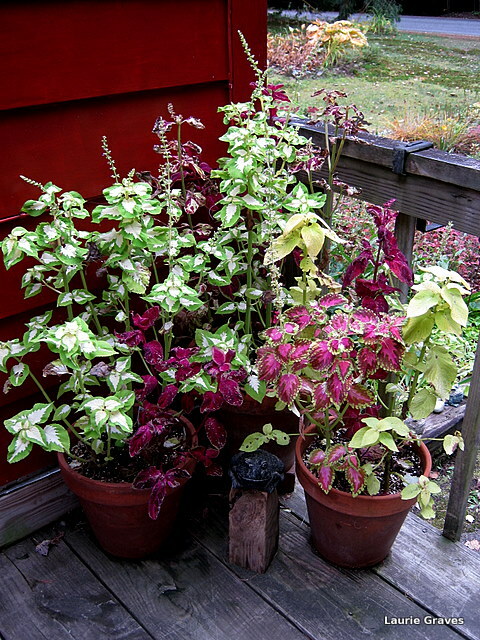 We still haven’t had a hard frost, but for the most part, the gardens and potted plants have had it. The coleuses have taken on a leggy, spiky look, and I hope to have them removed by the end of the week. 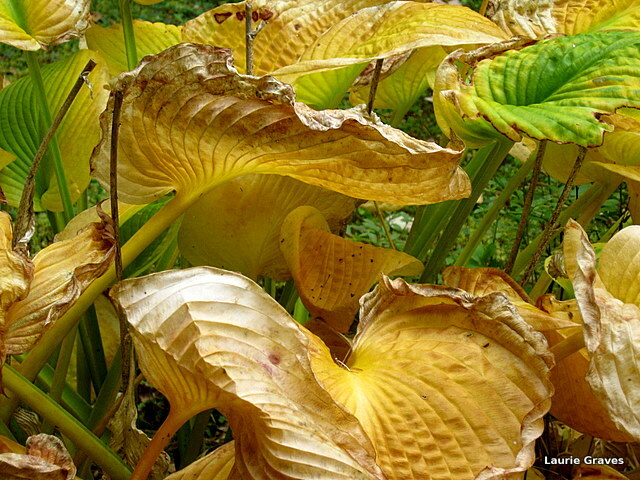 The hostas have become yellow and curled, and yesterday I began cutting them back. The leaves of the evening primroses have turned a lovely red, and I’ll cut those last. 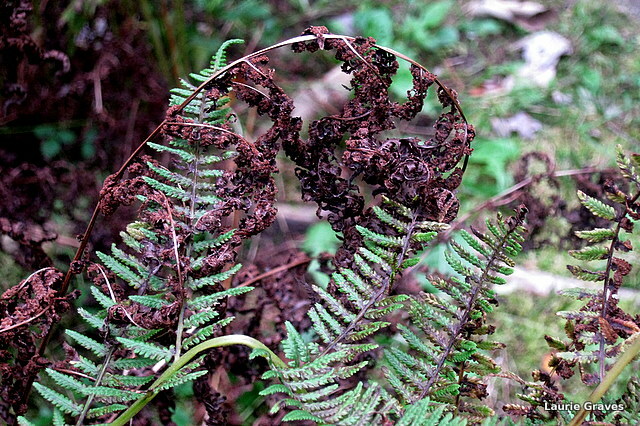 The ferns, too, have had it and are curling back into themselves. I don’t clip the ferns. I let them take care of themselves, and this seems to work just fine. Each spring, they return in a vigorous burst of green. For a gardener, fall can be a melancholy time. 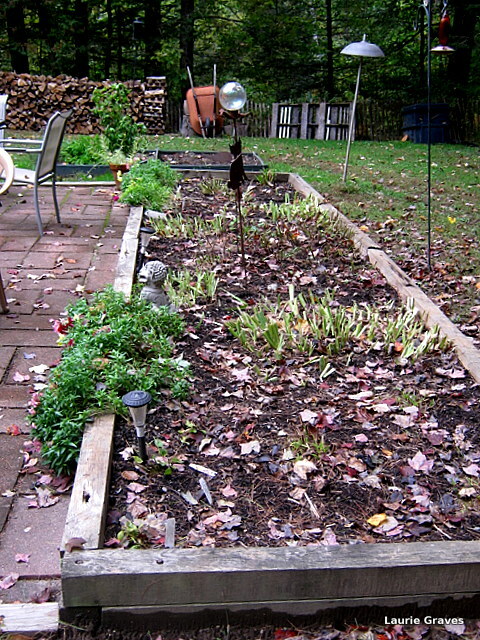 The clipped plants give the gardens a shaved look. Soon all the garden ornaments will be stored down cellar, as we Mainers like to say. The patio furniture will come in, and the grill will be moved onto the lawn. How sad, bare, and lonely it all looks when this happens. And indeed, what a consolation! Thanks, Johanna! Such a lovely sentiment. I do love that consolation! This weekend’s weather was so spectacular and the colors have been radiantly beautiful. Family and fall festivals have left me happy, but tired! 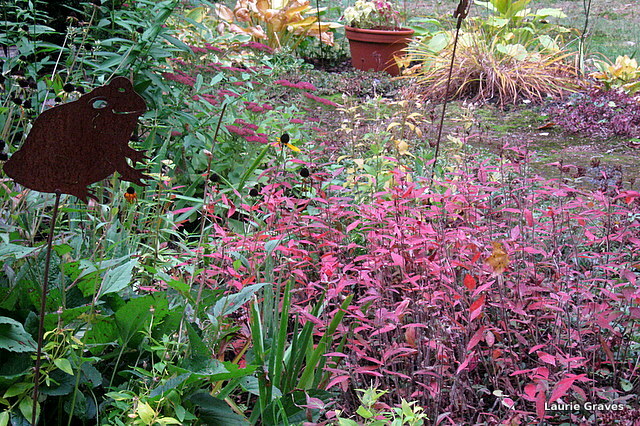 Family and fall festivals sound like good reasons not to trim the gardens. Thanks, Derrick. Still have a bit of a cough, but I’m feeling better every day. Beautiful foliage. 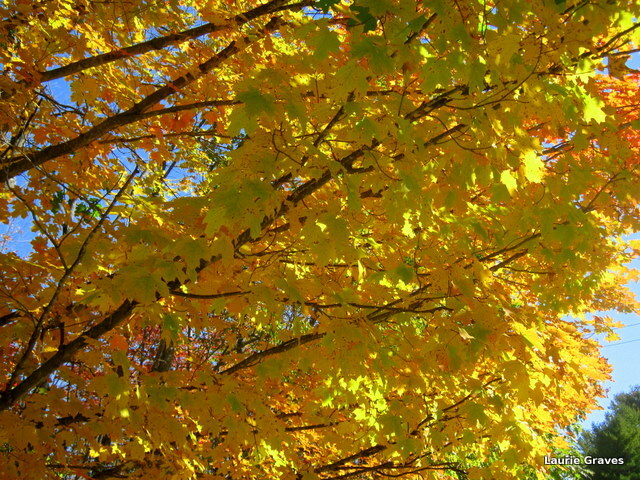 There’s one maple tree on my block which has turned yellow and orange – all the others are still green. Thanks, Jason. October is a glorious month for those of us who live north.